My passion for health and nutrition drove me to create my business Brenda Janschek Health & Lifestyle. My mission is to guide and inspire parents to positively nourish our children, connect our children, and celebrate life and food with them! I share so much of what I know, and continue to learn on my Facebook page and I’m so pleased to have reached the milestone of connecting with 1000 followers. To celebrate and thank you all, I thought I would do a lovely little giveaway. Includes – Daily Moisturiser, Foaming Cleanser, Clarifying Toner, Facial Scrub and Cream Cleanser. Natural Instincts provide a high quality product using the finest ingredients derived from plants, certified organic extracts and pure essential oils. The products contain NO sulphates (SLS and SLES), petrochemicals, propylene glycol, parabens or PEGs. There are no artificial colours or fragrances, harsh detergents, silicones, preservatives, animal derivatives and mineral oils. We exclude over 400 potentially harmful ingredients to you and the environment. The products are not tested on animals, they are vegan friendly, Australian made, Grey-water safe, and made of recycled packaging. 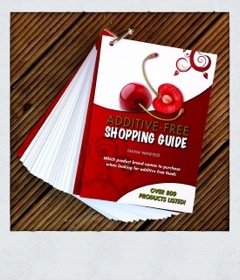 Additive-Free Shopping Guide created by Tanya Winfield, is a 64 page lightweight flip chart designed to stay in your handbag, with over 800 brand names of products to buy that have no harmful food additives (not even flavour). These With many, many hours of research in the supermarket aisle and talking to manufacturers about ingredients, this guide is invaluableitems are segmented into easy to follow sections when shopping within large supermarkets in Australia such as Aldi, Coles and Woolworths. 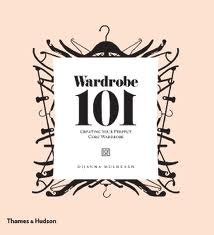 Written by top style guru Dijanna Mulhearn, this indispensable handbook will eliminate the confusion caused by the avalanche of fashion choices. You will find yourself culling your collection immediately and never succumbing to useless impulse purchases again. Instead, Dijanna will has you investing in timeless staple pieces, whilst teaching you how to play with trends without being a slave to fashion. Instead of generalising according to body type, Wardrobe 101 addresses questions about body shape by targeting specific problem areas. Fool-proof colour combinations for teaming separates for weekday, weekend, workwear and evening are revealed and industry insiders and tastemakers impart their wisdom on how to create your own signature style. Armed with a checklist of essential items, how to interpret runway into every day to suit you and after a wardrobe workshop, you will instantly graduate from fashion victim to serious style maven! 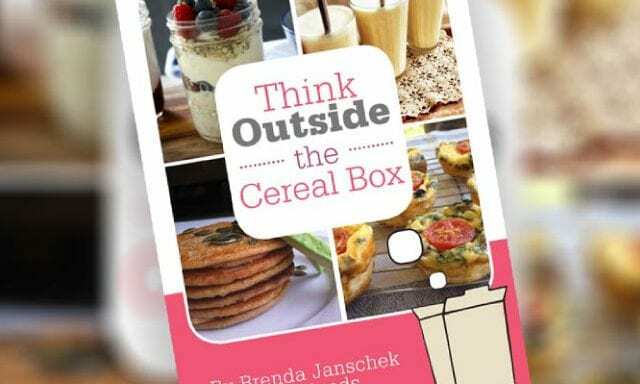 Like these Facebook pages – Brenda Janschek Health & Lifestyle, Additive-Free Pantry and Wardrobe 101. Have a look at the Natural Instincts website here and leave me a comment below about your favourite Natural Instincts product and why. Feel free to share this competition with your friends! This giveaway runs for two weeks from today and will end on Wednesday 14th August. Three winners will be chosen randomly and will be announced on this blog post. This giveaway is only available to those with an Australian address for postal reasons. Sorry! The face scrub…Im a sucker for both scrubs and anything that leaves me more radiant! 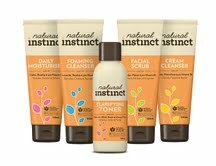 I have been using Natural Instinct products for almost 5 years now and love them. As a family of 6 we all use the N.I. shampoo and body wash daily. I would love to try the Natural Instincts hand and nail cream! My hands get so dry from always washing them and the cold weather.. This has made me think about making sure I buy natural skin care products, especially as I have just started teaching my oldest daughter about how to take care of her beautiful, young skin. Love the idea of her using these products and helping her understand why. I would love to try The Daily moisturiser. I suffer from perioral dermatitis and haven’t been able to cleanse or moisturise my face for months. Natural Instincts sounds like a product I could use! Best of luck Rachelle and thanks for entering. I hope all goes ok with your perioral dermatitits. I love the Natural Instinct Sensitive Soap Free Body Wash. My two boys and I suffer from fairly serious eczema – especially at this time of year. It is difficult to find a good quality body wash that is soap free and doesn’t leave our already dry and irritated skin feeling worse. This body wash cleans all of us – even my messy boys – but leaves our skin soft and not itchy. We, of course, follow with Natural Instinct Sensitive Body Lotion. Plus, we love supporting Australian companies! I love supporting Aussie companies too Olivia. Good luck! Thank you for the opportunity to try these products – I am actually new to the scene of ‘free’ – recently making the change to both Gluten and Dairy Free foods/ cooking, as well as investigating healthier lifestyle options, such as skin care, gardening and general household items… I even joined a Gym! keen to try the Natural Instincts range, as recently the SUKIN face cleanser has not been sold at my local, and I have been going out of my way to find it! I’ve been mostly bed bound with severe Myalgic Encephalomyelitis for about 16 years. My Mum, Dad, sister and I all have chronic health problems, including multiple chemical sensitivities and allergies, so we are always interested in products that are natural and that we don’t react to. I have had a look at the Natural Instincts website and I was really pleased to find that they have a sensitive skin range. I would love to try the 4 sensitive skin products: the Soap Free Body Wash, the Body Lotion, the Shampoo and the Conditioner. The fact that they are all hypoallergenic and fragrance free and they are made with Glycerin, Pro-Vitamin B5 and Vitamin E is wonderful. I also love that Natural Instincts is an Aussie company who don’t include any nasties in their products and who do everything in the most natural way possible. Even their website looks natural. Thanks for the kind words Kerri. Sorry to hear about your health problem, so much of this going on in the world! Best of luck in this comp! Wow, so hard to choose a favourite… I love the idea of the daily moisturiser because I hate the thought of nasty chemicals absorbing into my skin. Also love the entire kids range. We already use goat body wash and ecostore shampoo but these ones sounds heavenly! The baby body wash would be great as I’ve been looking for an inexpensive all natural product for my baby. Natural Instinct products tick all the boxes for me – no animal testing, all natural products, australian owned and made. I can’t wait to try the energising body wash – I love lemongrass and ginger – the perfect combo!! I love your website/FB page too, Brenda. Thanks for the awesome support Sue. Best of luck with the comp! I’d love to try out these Natural Instincts products, but after reading through about the range the one I really want to try is the Natural Instinct Cream Cleanser. My skin is sensitive and it sounds great. i am wondering if this is the same product that was around many, many years ago but with a really plain bottle? i tried the shampoo then! It’s possible Dyann.Apparantly it used to have a blue and white bottle?! I love the Organic Instinct Natural Shampoo because it gets my family’s hair clean without stripping out all of the natural oils . My favourite product would be the hand and nail cream. Sounds very nourishing and because I get chill blains on my hands in winter this sounds perfect! The sensitive hair shampoo, my boys get very dry and irritated scalps if we use anything too harsh! Congratulations on your milestone Bren! I see you have even more likes now too!! My favourite Natural Instincts product is their handwash 🙂 not just for all the good stuff in it, and no animal testing, but they keep all the bad stuff out! Phew! Keep up the lovely work! My girls and I have really sensitive skin, so I would love to try the Natural Instinct Sensitive Soap Free Body Wash. I love all the products because they are all natural based and great for all skins from babies to adults. No irritants and smell great too. I luv the cream cleanser as it is ideal for older skin that isore dry and dehydrated. The daily moisturiser is the one I need, therefore like the most. I am so interested in the additive free notebook too. I have a big thing about all the lies in labelling and would love to learn more. Subscribe to my newsletter to receive regular updates and tips to help improve your family's health and as a thank you get 10 FREE Breakfast Recipes to Make Your Morning's Shine! Buy my eBook for Growing Teens today and fill those hollow legs! Subscribe to my newsletter to receive regular updates and tips that will have your family’s lunch boxes brimming with real foods, your hormones humming, skin radiating and your fussy kids eating kale chips in no time! © Copyright Brenda Janschek 2019. 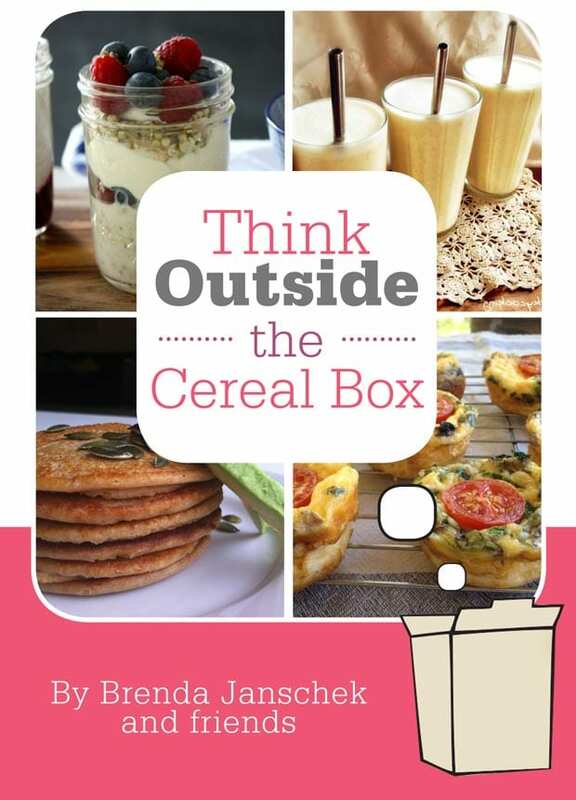 Grab your free copy of my 'Think Outside the Cereal Box' ebook with deliciously healthy breakfast recipes and you'll also receive family-friendly recipes and healthy living inspiration directly in your inbox! Download now and be the first to get notified on new updates. Unsubscribe anytime.